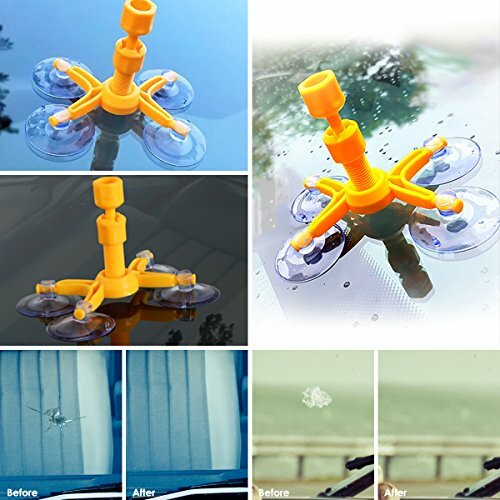 View More In Windshield & Glass Repair Tools. 1.Surfaces must be clean and dry to make a proper repair. 2.Do not make repairs in direct sunlight. 3.Ideal application temperature is 60°F to 90°F (15°C to 32°C). 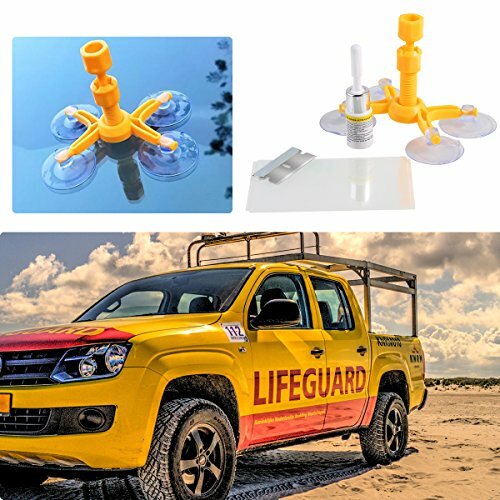 Allow the vehicle sufficient time to acclimate to this temperature if it has been in either a hot or cold environment. 4.Do not allow the resin to come into contact with the car's painted finish, wiper blades, or plastic trim as this may cause damage. Not all damages can be repaired to restore full optical clarity. Please read our instruction carefully before your repairing job. Different chips or cracks need different ways. 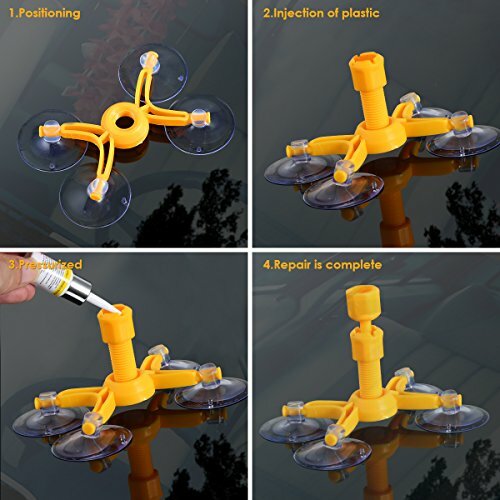 ★Easy to use and operate,repairing chips and cracks quickly and easily,also convenient for carrying and storage. 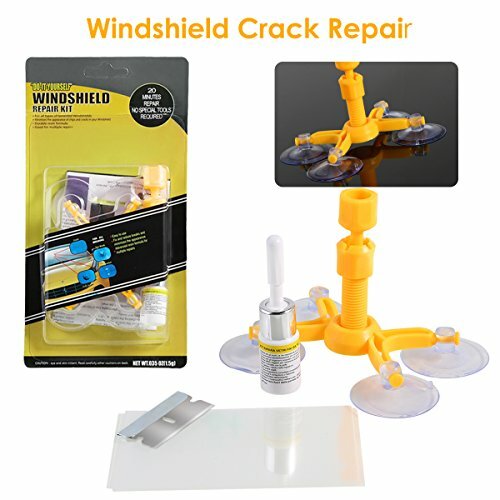 ★Windshield Repair Kit helps you minimize the appearance of chips and cracks and stops them from spreading. 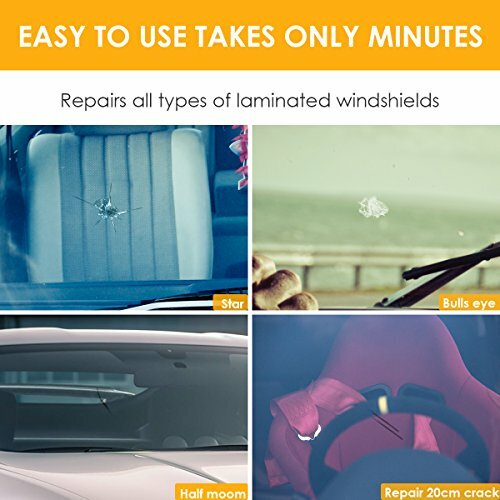 .★This kit is suitable for repair small damages in laminated windshields or window,If the damage(s) are in the Driver's Primary Viewing Area (DPVA), owners should have their windshield inspected by a professional glass repair technician to determine whether the windshield should be repaired or replace. If you have any questions about this product by Dealpeak, contact us by completing and submitting the form below. If you are looking for a specif part number, please include it with your message.